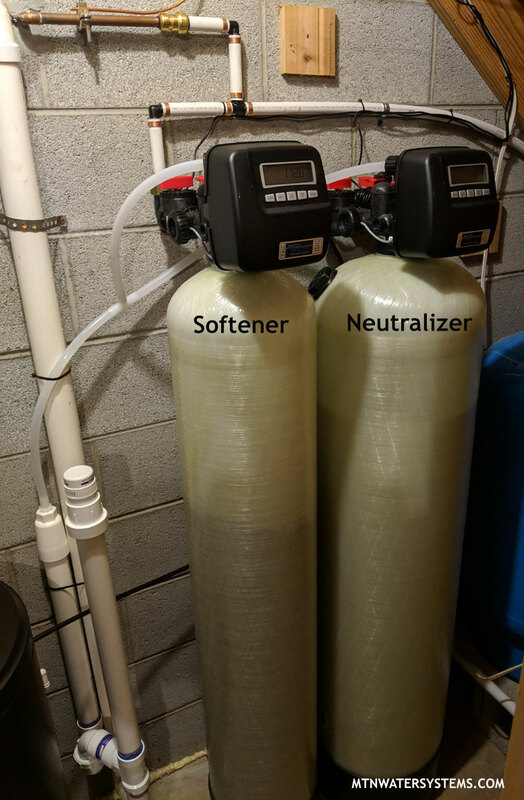 This Weaverville customer invested in a neutralizer and water softener from Mountain Water Systems. They came to us because they were having white build-up and some blue-green staining. The staining is indicative of a low pH leeching metal from the plumbing into the water supply.